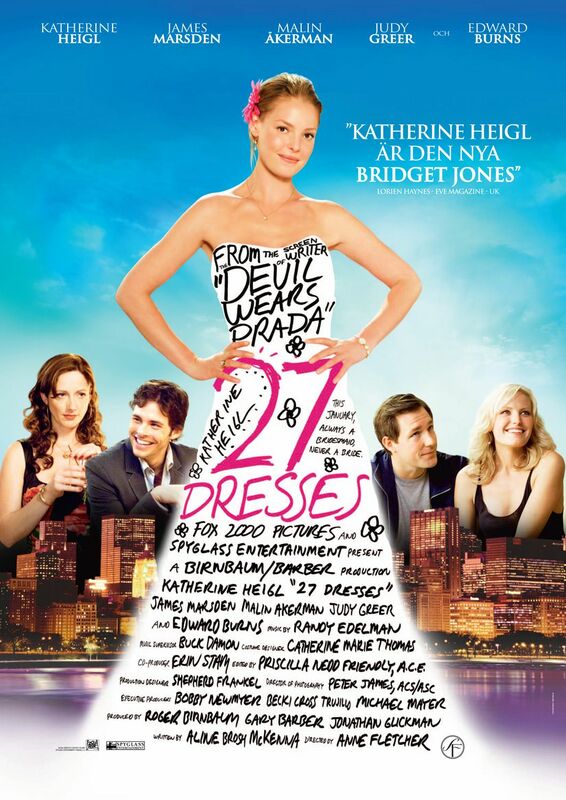 I loved the movie 27 Dresses. It’s fun and silly, and I can watch it over and over again. So, when did anyone ever wear a bridesmaid’s dress again? I want to see a picture if you did! 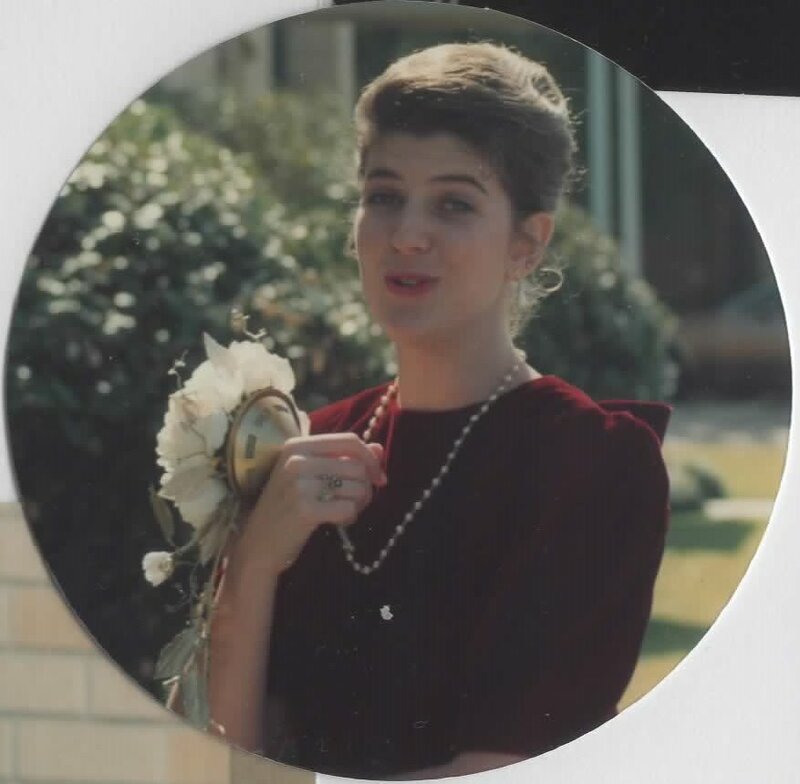 The very first wedding I was in as the Maid of Honor took place in my best friend’s backyard, and I wore a sheath of a sundress that I’d picked up in Europe. That dress I wore again. It was right out of my closet in the first place. It was a low-key, inexpensive wedding. And I looked good in the dress. Then my cousin got married. She picked gorgeous burgundy velvet fabric for custom dresses. Beautiful dress. I never wore it again. I did look good in it, though. At my cousin’s wedding where I met my husband. He took this picture (scanned from our album). 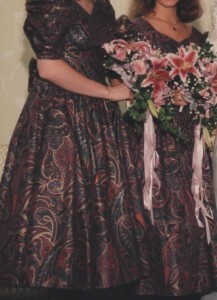 My sister-in-law picked a beautiful teal taffeta and a classic early-nineties dress pattern. Gorgeous dress. If I’d had a formal event to go to, I probably would have worn it again. I didn’t. When I got married, I subjected my family and friends to a lovely fabric that my sister picked out of the clearance pile at the fabric store. She was being completely snarky about it. “Ha ha, look at this!” I loved it. I’m not sure why. I didn’t care that I was having a June wedding and the colors were all wrong for that time of year. I loved the dark paisley material. My sister thought I was joking, but I found enough between two stores for my four bridesmaids and the flower girl. Click for a larger view…if you dare…. Seriously, who was I kidding when I thought anyone in my wedding party would ever shorten that dress and wear it again? Maybe I knew that subconsciously and tried to keep the cost down. LOL. I’d love to hear your wedding party stories. Did you have wedding party outfit nightmares or dreams come true? While you’re here, make sure you’ve signed up to follow this blog via email, rather than the old one.